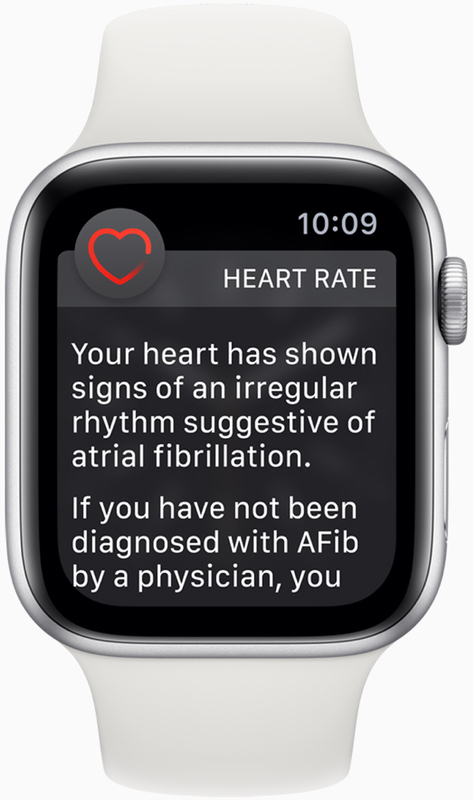 MacDailyNews Take: Apple Watch has already saved many lives and wil go on to save untold more in the future! Perhaps with such a large sampling of the population, done for the first time over a long period, what they are learning is that such irregularities are actually a fairly normal occurrence in the human heart beat. 0.5% got the warning. That is rare, not normal. 0.5% is 1 in 200. If that is a true reflection of population then it is quite a high incidence. Remember this is people who have an Apple Watch and signed up for the study (including myself). Even Rush Limbaugh would happily tell you to Veto Beto, and that by doing so, you will be helping to #MAGA. And a potty mouth. Fuqq you too, a-hole. So, how are the Apple Watch, Rush and Beto connected? I think you posted on the wrong site. you and mush limpballs are cowards. You’re the coward, Citizen X. A leftist loser is always a coward – you’re coward No.1, hopefully one day you will be an ex-citizen because you don’t deserve citizenship but a jail cell. You’ll show just how much of a coward you are with some kind of typically nasty response. We’re all waiting to see your cowardice again. LOL… sheesh. what are you, like 13? First What Year Is It has unfortunately reproduced and his spawn has just discovered the interwebs. The poor brainwashed home schooled brat thinks that his purpose in life is to expose his anti-fact partisan hateful rhetoric far and wide. Firsty has convinced his pupil that he is superior to everyone else, because he is first in his class of one. Worse, Spineless Stevejack gives this screed a platform. Beto and Jobs have very similar interests, centrist beliefs, and backgrounds. It is pure hypocrisy for someone to nonsensically attack Beto while deifying Jobs. But of course, First and his ilk will cherrypick whatever outlyer data points it takes to slander anyone not on the Putin team. – accusation without facts. Paranoid that Citizen might not be native??? – On what charge??? For exercising his constitional right of free speech? The shrill attacks form the right show how little they know about the constitution or society. You appear to be worried about Beto. An interesting tell. You appear to be worried about anti-Beto commentary – an interesting tell. right wing assholes on mdn claim all politicians are stupid. then they slander a Jobsian computer whiz who ran a software company. right wingers instead follow the directions of a school dropout rock jock who tells them in many ways that slandering and screwing your neighbors is the height of patriotism. i will vote for independent thinking candidates of any party who offer common sense inclusive solutions to problems and inefficiency. your fear mongering and rabid partisanship is pathetic. Yes, you are a potty mouth and a left wing a-hole, go vote independent, it’s the same as voting left wing, sad you are too dumb to understand that. Is this what MDN supports now? I agree with the rational, non-hate-filled posts above — the MDN braintrust seriously needs to clean up their forums. Nobody is convinced by the offensive right wing screeds. Also: since when is independent thought “left wing”? You would have to be off the right end to start labeling centrists anything but what they are: focused on actually solving issues, instead of carrying water for corrupt political parties. Yes, all you have is self-hate, which you spew to all and sundry showing us how pathetic you are. Go on, respond, show us your hate again and hate, it is YOU. Awwww, is the widdle baby soiled. Need its diaper changed. rush limpballs will tell you to go to the dominican republic for your hookers and bring plenty of viagra . also have your housekeeper get your oxy. Left-wing Citizen X, the true parrot who parrots the rantings of left wing rats. Clappity clap clap on your scumchievements in life – they and you are pathologically pathetic. Grow up. Also learn English and grammar. Oh. And no response to what I said. Put your faith in a drug addled nutjob. Don’t blame me for your lac of intelligence. All you have is hate, Citizen X. No wonder you are an ex-citizen. No-one wants losers like you! Alt-left scum like Citizen-X deserve to be X-terminated – their fake tolerance needs to be exposed for the fraud it is. Your love for me is endearing so you can stop fawning over me. Keep on posting, political troll. Every time that you post your drivel, another donation goes to Beto. He greatly appreciates your help in fund raising. By the way, you do realize that “Veto” and “Beto” do not rhyme, don’t you?? AW cannot detect any heart in your body. Please seek professional psychological help immediately. Refrain from all hatemongering and proceed directly to the nearest psych ward! I read somewhere that v12.2 is going to close a “loophole” allowing ECG outside of the US. Too bad. It has been six months +/- since the Series 4 was released. Hope to see ECG functionality added in more countries soon! In the EU, a company has to get a CE mark status from an EU certified body in order to market most medical items. Hence, I know Apple is working toward getting CE mark clearance. Bo, thanks for the info! This does not provide clearance to use as a medical diagnostic device. Regulatory clearance for that is far more extensive. However, as an early warning device it appears to perform very well. 84% accuracy is very good. While the capability of the Apple Watch is great and has helped many people, one should not be lulled into complacency concerning their health just because the Watch says AOK. My Series 4 says I have a normal rhythm. My Blood Pressure checker says I have adnormal rhythm. Several doctors have confirmed the adnormal rhythm, (afib) and is quite obvious. The also say the Watch won’t likely catch my version. The other features of the watch that might also catch the issue, don’t. Now on ‘blood thinner’. Don’t let your guard down based on watch input. Who funded the study? Oh yeah … Apple.